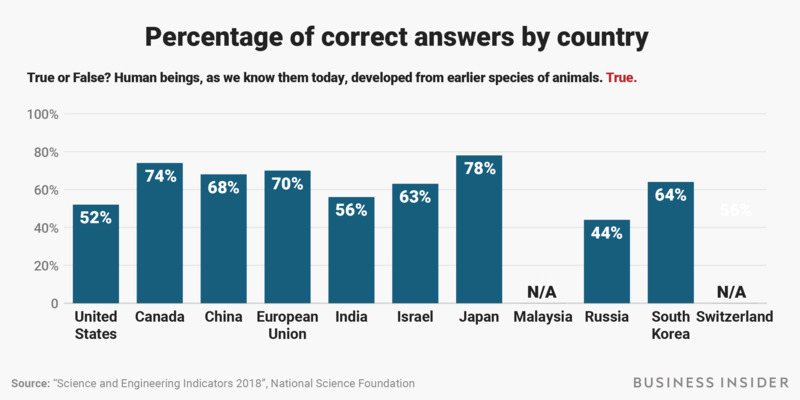 Each year the US government asks 10 simple questions to test the public's knowledge of science. 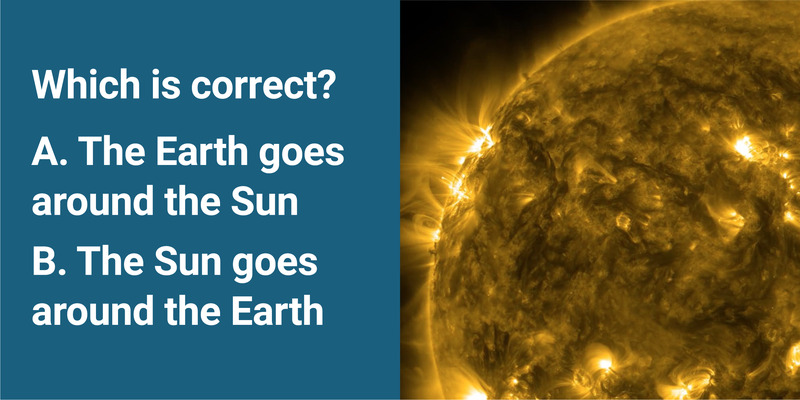 Can you correctly answer them all? 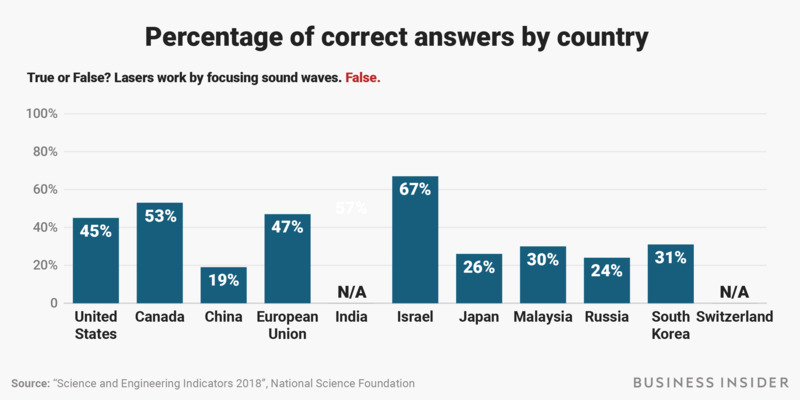 Every two years, the National Science Foundation is required to tell the president how the US is doing in regard to science and engineering. The news is OK, but not great. 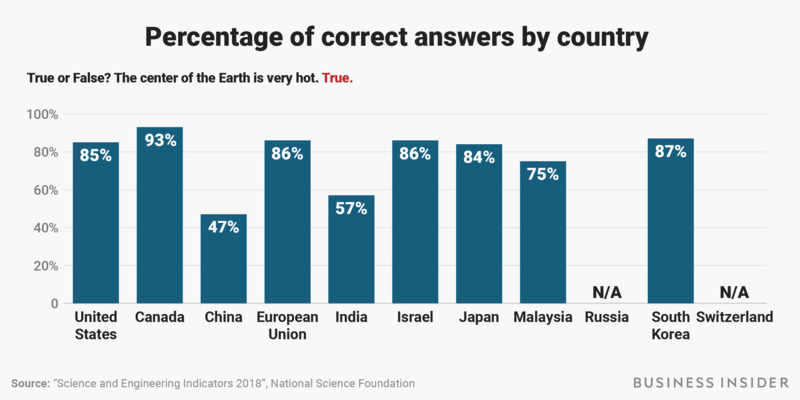 Americans are increasingly interested in environmental issues, the report says, and relative to previous years, they’re expressing more concern about climate change and humanity’s role in it. 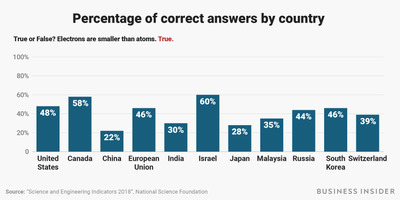 They also trust scientists more than roles in any other institution aside from the military. 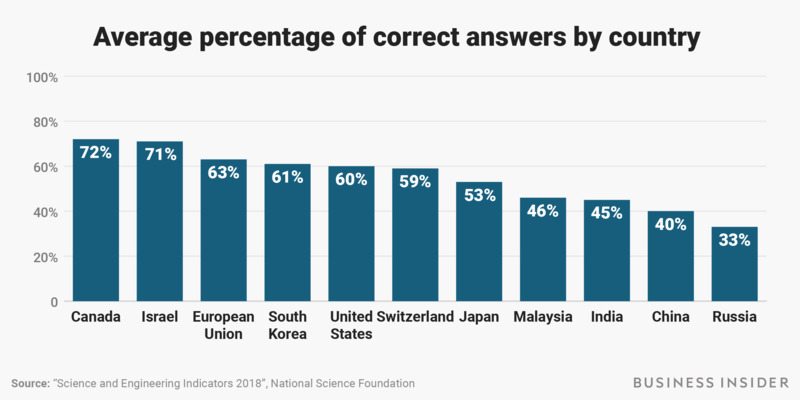 But the US lags behind dozens of countries in the rate of awarding bachelor’s and advanced degrees in science, technology, maths, or engineering. 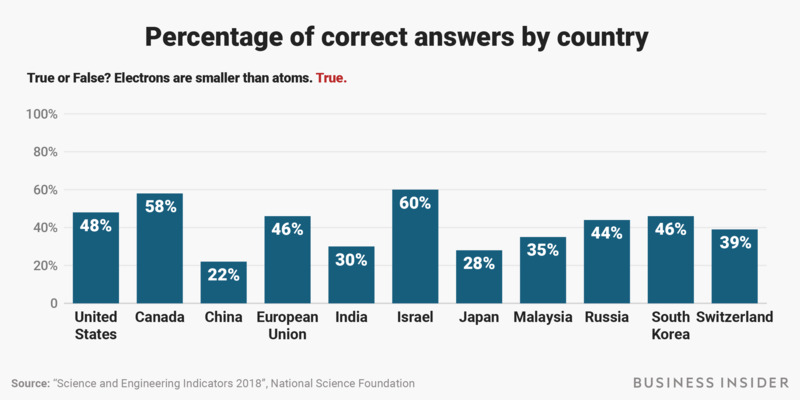 The American public also isn’t doing much better on 10 simple questions the NSF asks to test the public’s understanding of science. 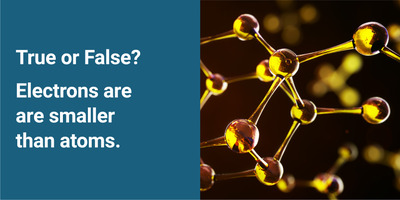 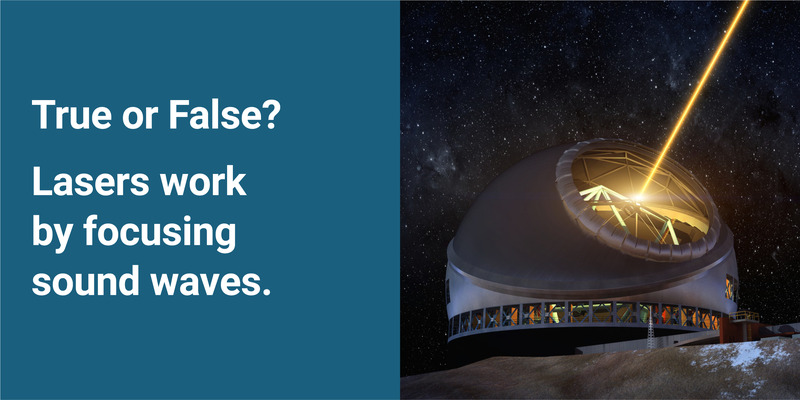 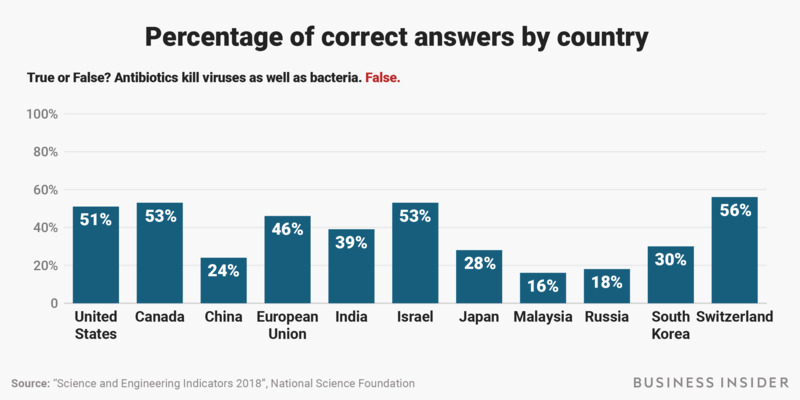 Scroll down to see the questions the NSF asked for the latest report, see how many answers you can get right, and then compare how 11 countries who asked the same science questions performed. 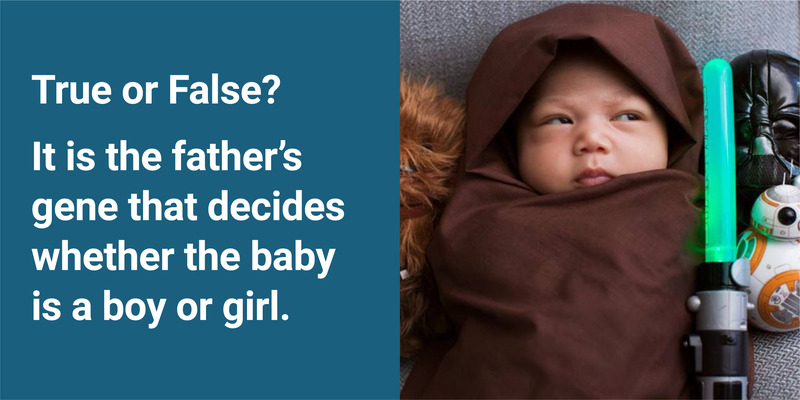 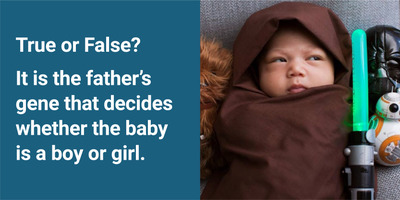 Kelly Dickerson contributed to this post. 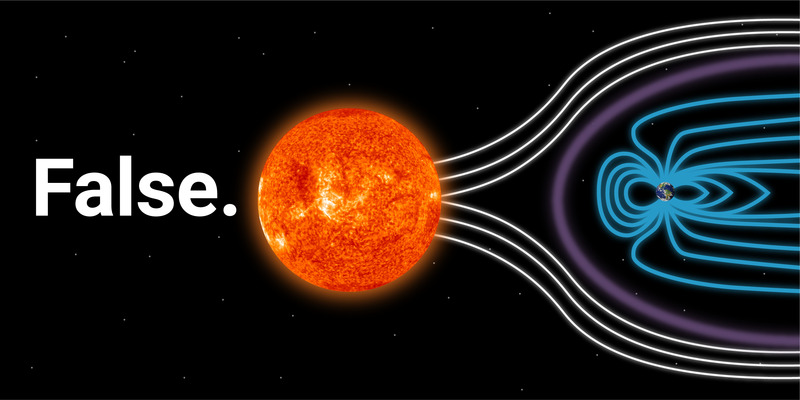 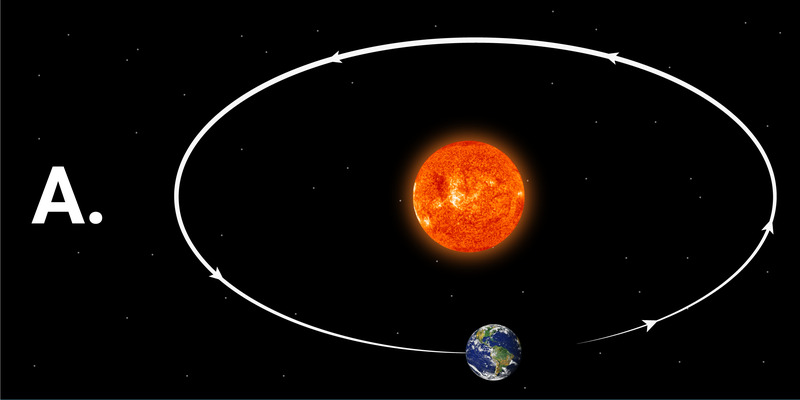 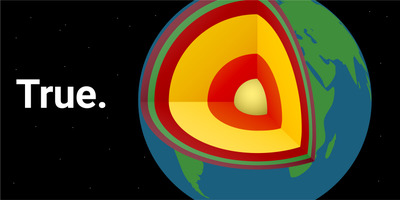 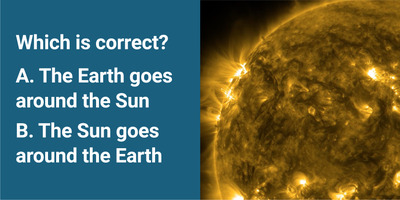 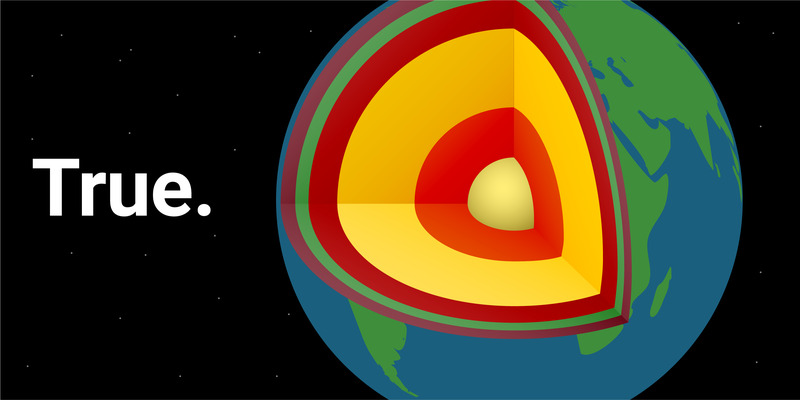 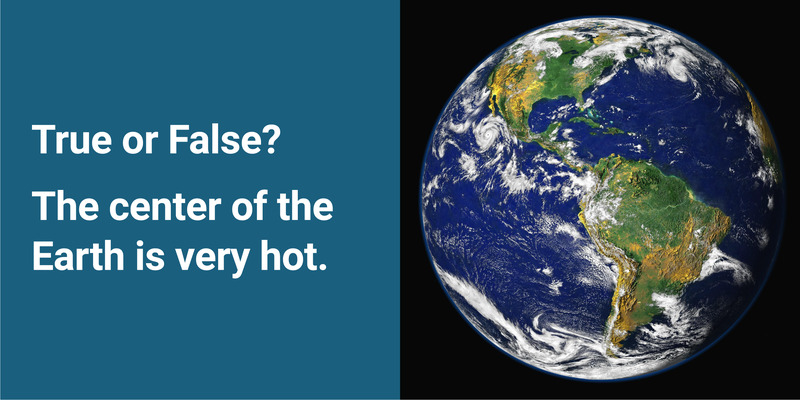 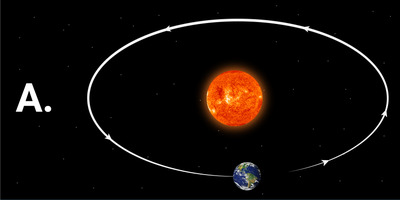 Scientists estimate that Earth’s core is more than 10,000 degrees Fahrenheit – nearly the temperature found on the surface of the Sun. 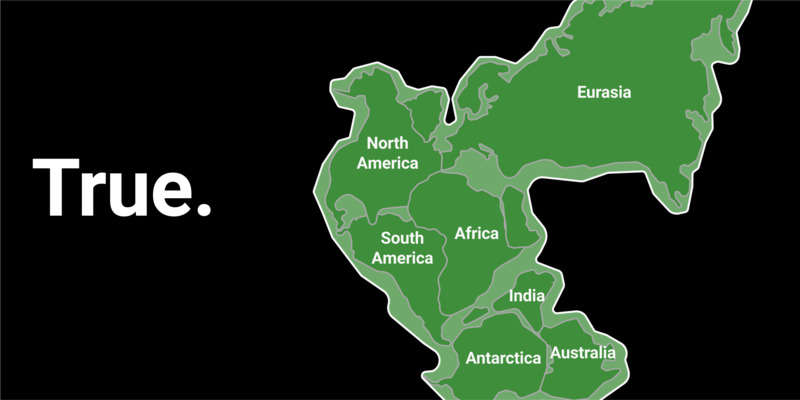 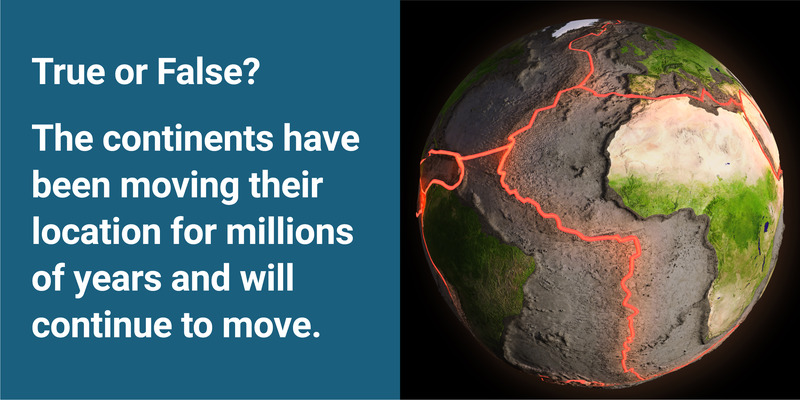 Plate tectonics is the science of how continent-size slabs of crust form Earth’s outermost layer and constantly move and regenerate. 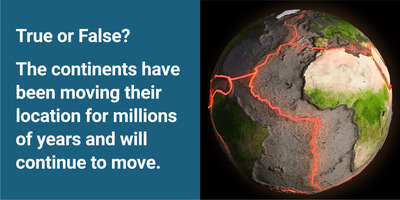 Most move less than a couple inches per year, according to Pacific Northwest Seismic Network, though the process may be essential to making a rocky planet habitable to life. 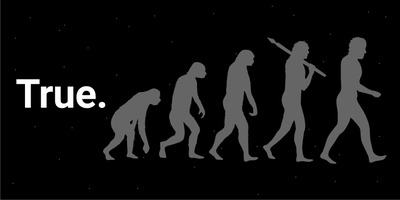 We know this is true on a basic level because we can see the position of the stars change over time. 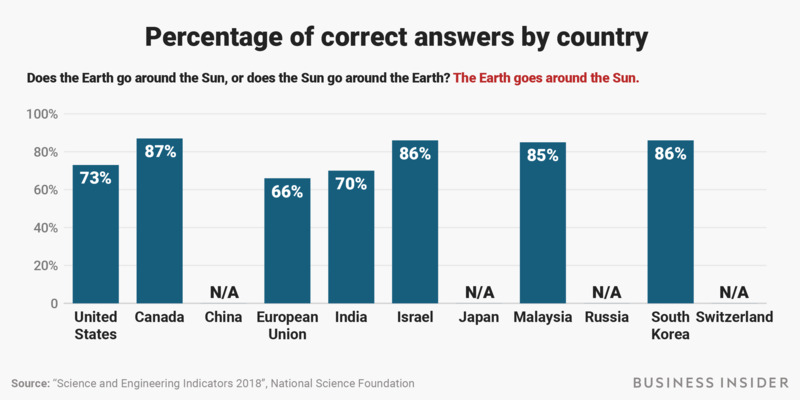 The space age has also required us to intimately understand this fact – and acknowledge our puny existence in the cosmos via stunning pictures of Earth from afar. 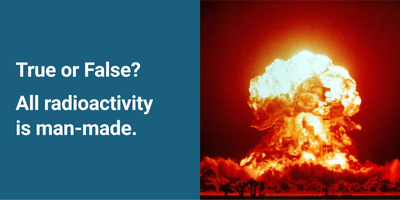 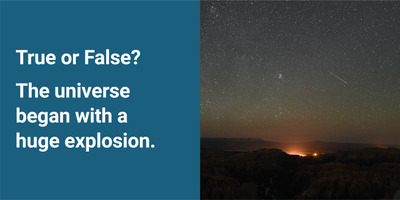 Natural radiation is everywhere, especially in space. Small amounts are present in soil, water, and vegetation. Even a portion of the potassium found in bananas is radioactive. 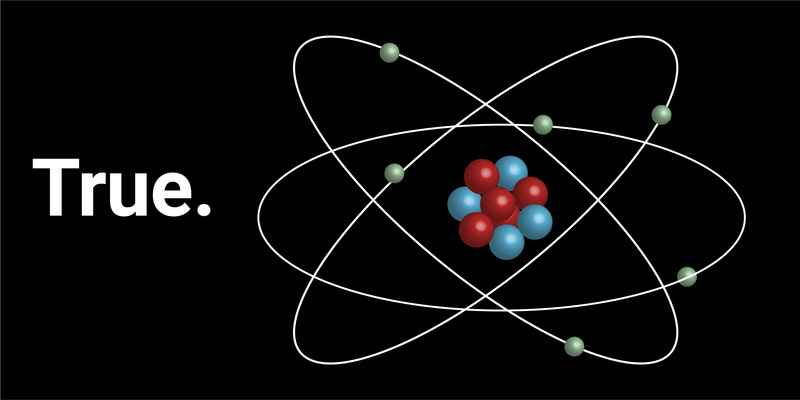 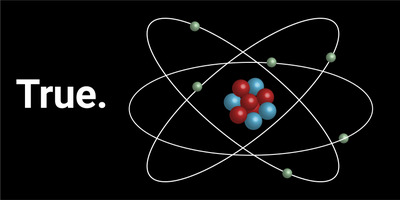 Electrons are much less massive than the protons and neutrons that make up the cores of atoms. 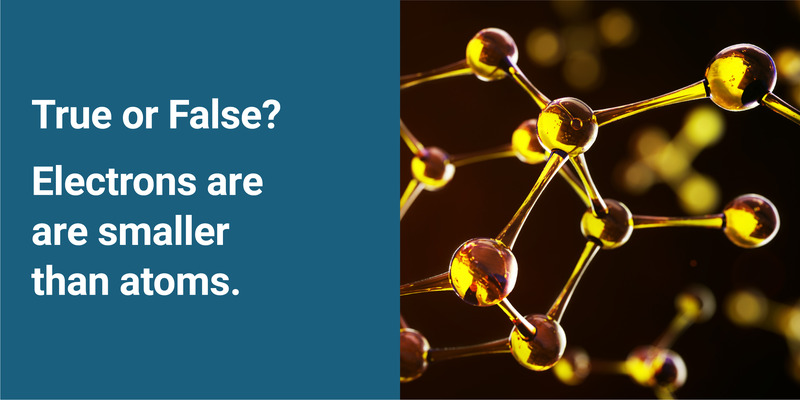 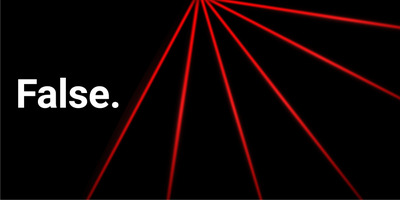 Lasers concentrate light waves, not sound waves. 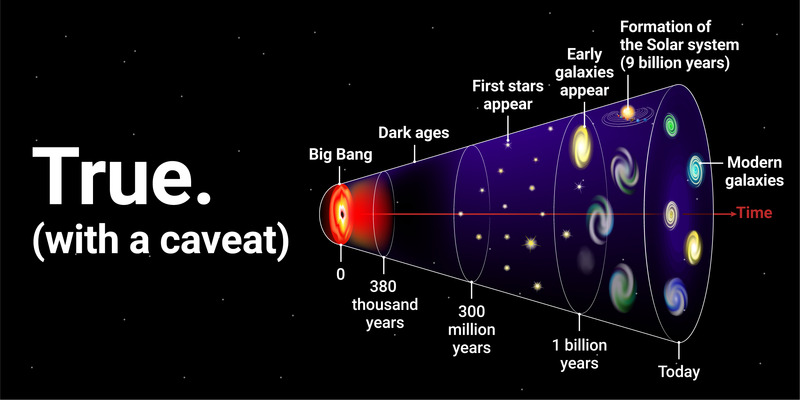 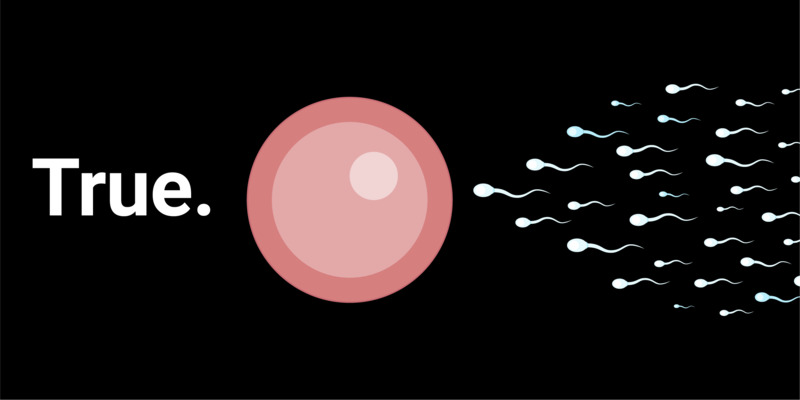 This is the best theory that we have as to how the universe began: a point of infinite density at the beginning of the universe began to expand and created the galaxies, planets, and stars that we see – still in motion – today. 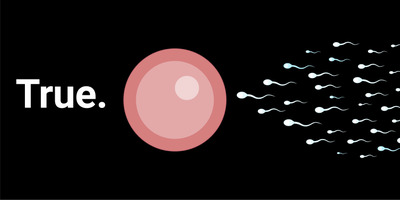 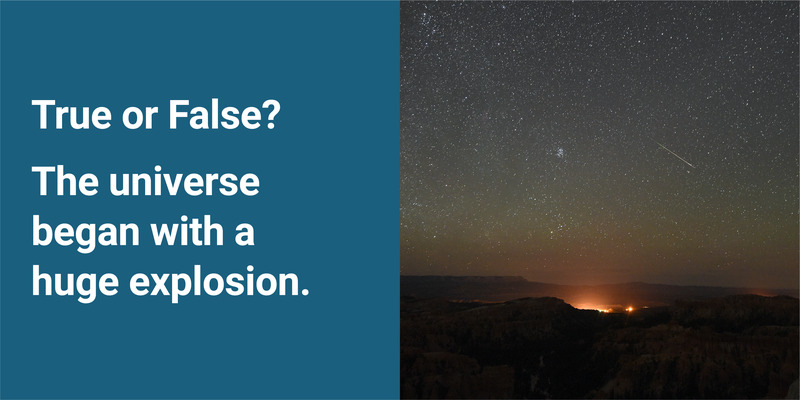 People call this “the Big Bang,” though it’s not technically an explosion. 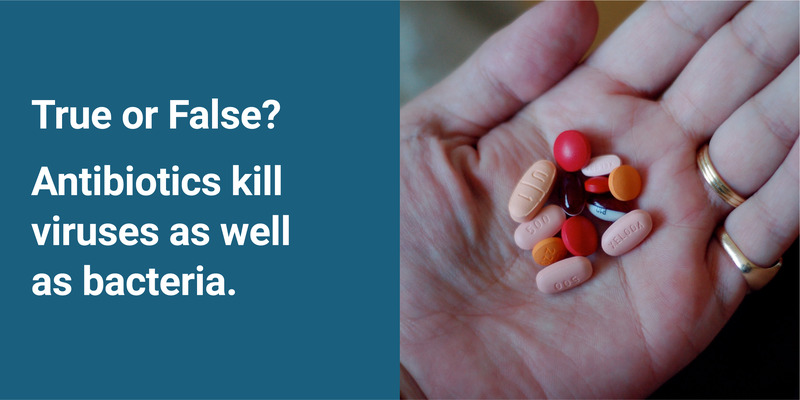 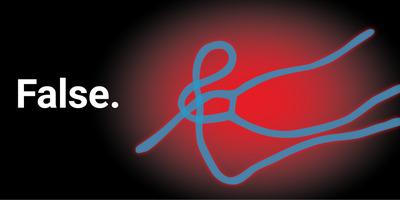 Antibiotics only kill bacteria, not viruses. 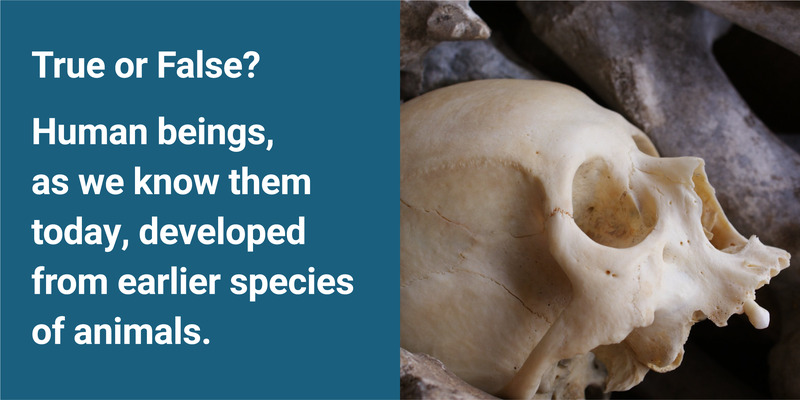 Fossils in the ground, genetic studies, and other research over the past century has shown again and again that evolution not only gave rise to species like humans, but will continue to shape the forms of our descendants. 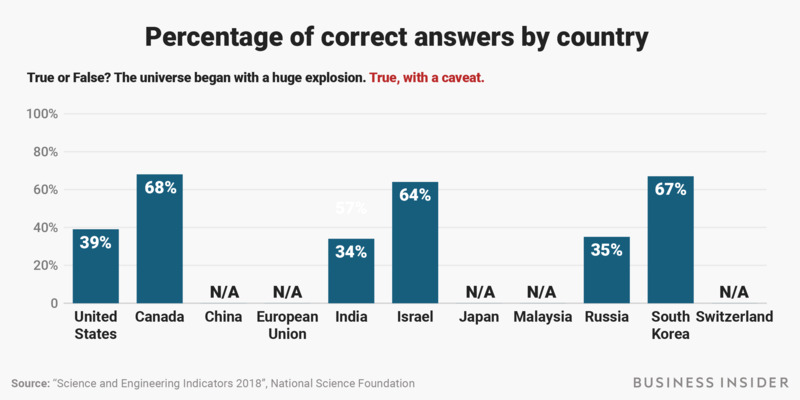 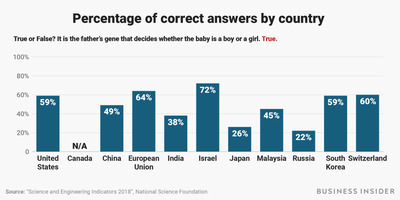 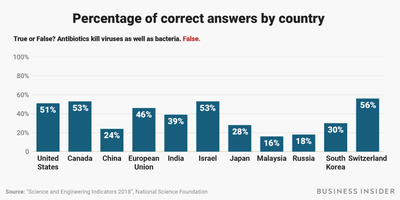 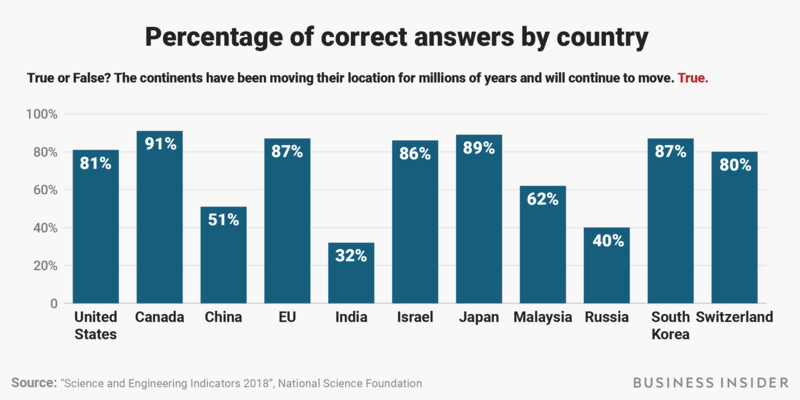 Here’s how all 11 nations performed across all of the science questions. 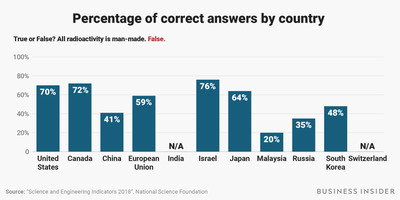 Countries that didn’t ask certain questions or report data on them (i.e. 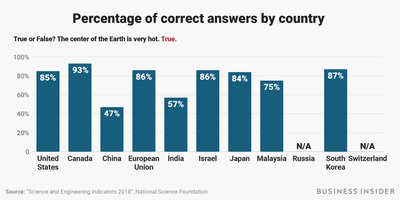 “N/A”) had those items excluded from their overall average, shown here. 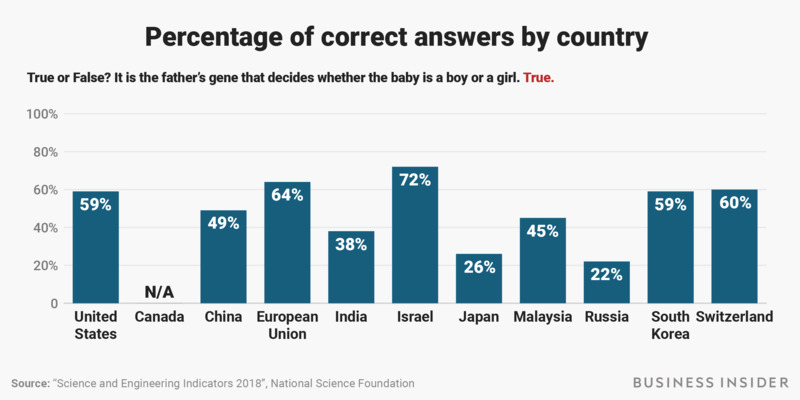 From best to worst, the ranking for 2017 is: Canada, Israel, the EU, South Korea, the US, Switzerland, Japan, Malaysia, India, China, and Russia. The US effectively got a D- average while the top country, Canada, got a C-.